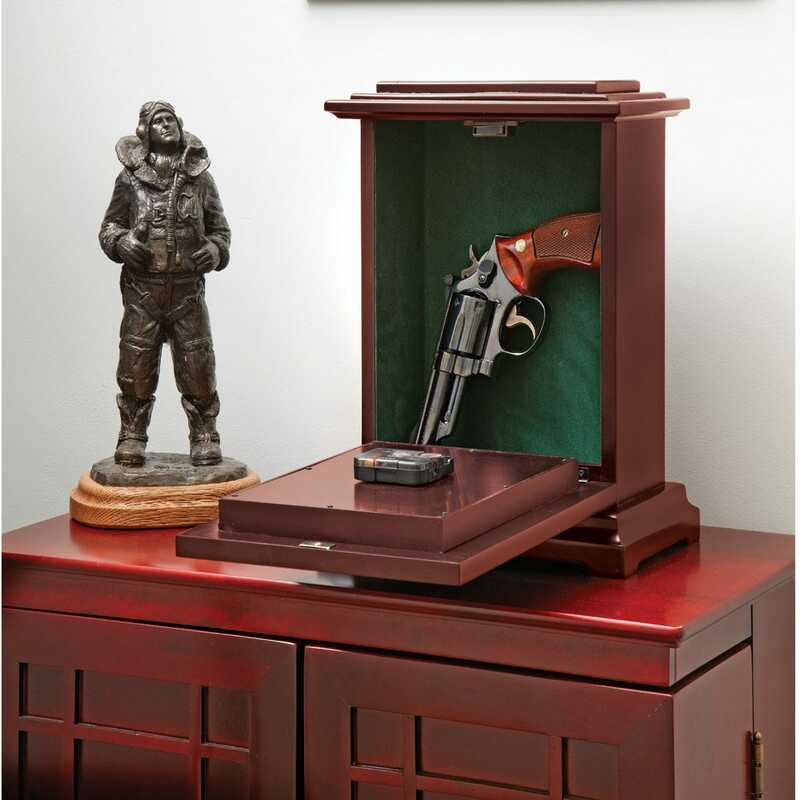 Gun cases needn't look like steel vaults. They can be an attractive functioning clock too. Inside these classic tabletop timepieces is hidden storage, sized for a handgun or other items needing safekeeping. Yet, everything is hidden in plain sight, right at your fingertips if needed. 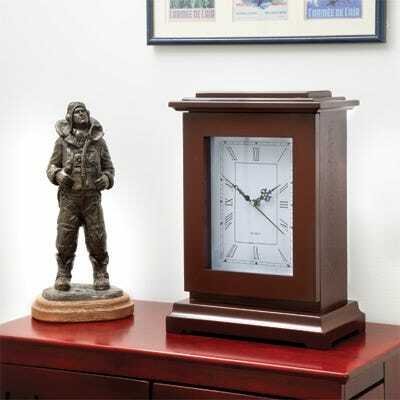 Clock bases are solid wood and wood veneers with a hand-burnished finish. Quartz movement. Operates on one AA battery (Included). Clock measures approximately 10"l x 6"w x 14"h. Interior measures 7"l x 2"w x 11"h, and is available in burgundy. Comes with a lock and a key for added safety. As of 3/18/17 Totally exceeds my expectations - excellent product.